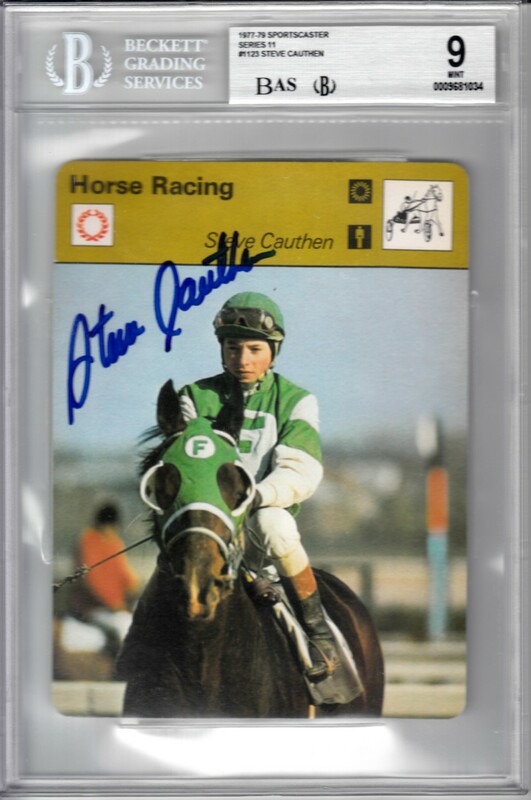 Original oversized 1977 Sportscaster card autographed in blue marker by legendary horse racing Triple Crown winning jockey Steve Cauthen. Obtained in person, authenticated by Beckett Authentication Services (BAS) and graded 9 (MINT) and slabbed by Beckett Grading Services. 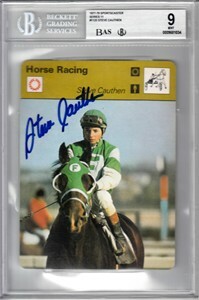 The autograph is graded a perfect 10/10 (on back of the label). ONLY ONE AVAILABLE FOR SALE.